“Vartan didn’t Say a Word” is a political poem by Ahmad Shamlou that underwent censorship because of being addressed to a political prisoner who was tortured to death by SAVAK (the Intelligence and Security Agency of Imperial Iran). Vartan Salakhanian, an Armenian Iranian born in Tabriz, was affiliated to the Tudeh Party of Iran which was an illegal communist party. Seemingly Vartan knew the whereabouts of some other members of the party and the location of the print house where anti-establishment books and notices were published in a clandestine manner. He was tortured by the intelligence agents to reveal whatever he knew, but he didn’t say a word and couldn’t survive the ordeal. Vartan’s demise was a shock to Shamlou who had been Vartan’s prison mate. 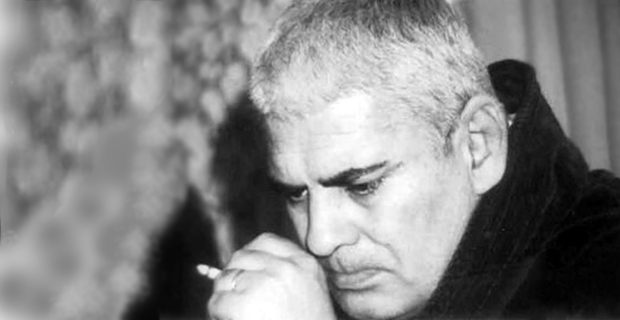 The horrible incident inspired Shamlou to write a poem commemorating Vartan and his loyalty to his comrades. The narrator of the poem implores Vartan to say something and survive, but Vartan doesn’t say a word. The word “Vartan” is reverberated through the poem, but Shamlou had to replace this name with “Nazli” due to censorship concerns in the editions published before the 1979 revolution. Throughout the poem Vartan is represented as the symbol of resistance. He is also the harbinger of spring and the end of winter. Poetry was used as a weapon by the Iranian revolutionaries and the readers are expected to read between the lines and decipher the hidden meanings of the metaphors and symbols. Words such as “the dark”, “the twilight of blood”, “winter”, and “spring” carry political connotations in the context of anti-establishment struggles of those years. However the poem is not just a lamentation and a political message. Its aesthetic value should not be underestimated. The reader perceives impressive images through each line of the poem. Shamlou has written the poem in prose poetry, which was iconoclastic back then. In a country like Iran, where traditional forms of poetry have been deeply ingrained throughout a millennium, breaking away from the poetic conventions in the twentieth century led to negative reactions from different literary circles. When Shamlou put aside meter in his prose poem and sufficed to rhythm, the conventional poets had not yet fully recovered from the shock of Nima Yushij’s disregard for rhyme in modern Persian poetry. But Shamlou does not break away from the past entirely. In most of his prose poems, he revives many obsolete words and idioms and his language is highly formal. His archaic diction originates from many canonical books of Persian literature in both prose and verse. Under the window in our house, the old lilac has blossomed. Don’t wrestle with the ominous Death! Vartan didn’t say a word. and then vanished for good and all. – “Vartan, spring has arrived and the Judas tree is in flower. Now a postgrad student of Computational Linguistics, Rajabpour studied English literature at Shahid Beheshti University in Tehran. He is a prolific literary translator and an enthusiastic English instructor. Posted on Pars Gon, the Perisian Language Review.